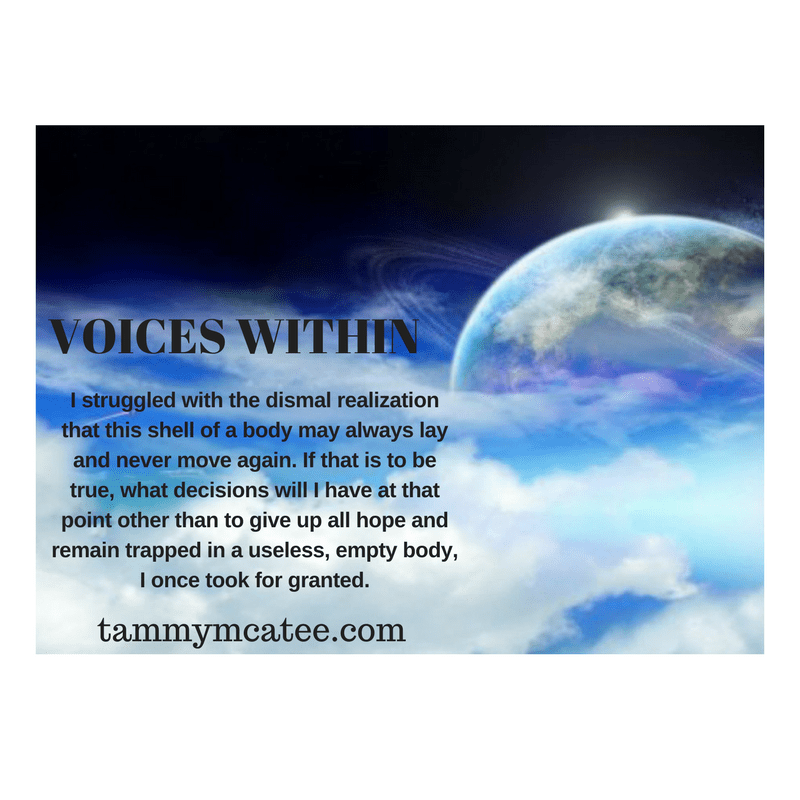 Voices Within - an Inspirational Novel - Excerpt #24 - Author Tammy McAtee of "Voices Within"Author Tammy McAtee of "Voices Within"
They left the room and I strained to hear the footsteps as they echoed further away from me. I tried to speak, to move, and nothing happened. Panic flooded me as I thought oh no, I’m trapped. What has happened to me and where am I? I once again tried to move my body, and still, nothing.